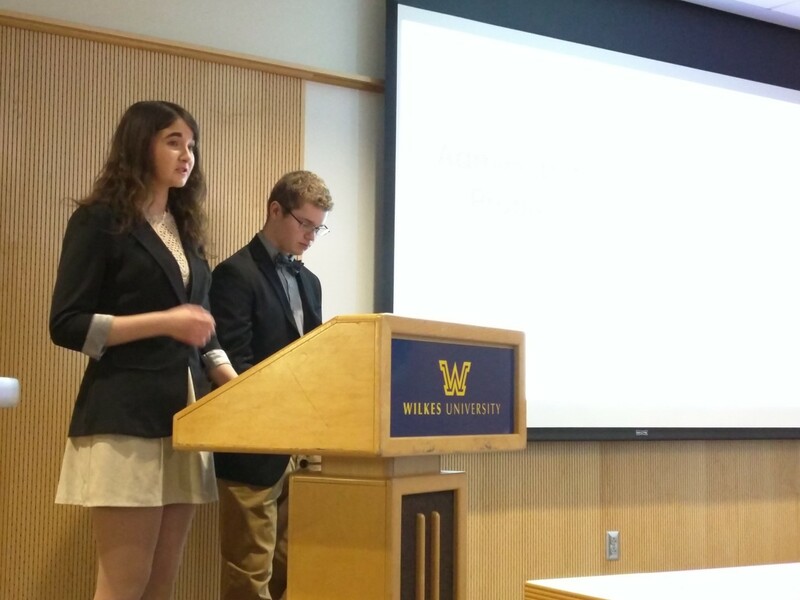 Allie Siock and James McKane, recently attended the Wyoming Valley Undergraduate History Conference at Wilkes University. The paper they presented was titled “The Jesuit Takeover of the University of Scranton.” Allie and James worked on this paper in the fall, in History 190, Dr. Levy’s Digital History class. Allie and James were very grateful for this experience. They noted: “This was our first involvement at the college level presenting anything of this magnitude. The feedback we received from professors, historians, and fellow students was truly overwhelmingly positive. The Wyoming Valley Undergraduate History Conference was unforgettable for us and is just the start of a long road of presentations we both hold in store”. Kudos to Allie and James for a job well done!